Well here it is Friday already? It runs for four minutes! I wish I had that kind of time! And this video, hoooo boy, is funny! Presented by Auralnauts, who have been featured here before. There have been a few stories and videos making the rounds lately about the technology used to fabricate video or audio of fake statements. This is the most impressive one in my opinion. It can generate video based solely on audio source alone. I’d say it’s something like 90% accurate looking. In a few years this could be a really interesting tool, specifically in film post production. This was described to me by a few people as “a commercial” but it’s not. I guess it is…? It promotes “Strauss”, makers of the “Milky” line of dairy confections. A weird, weird little film. 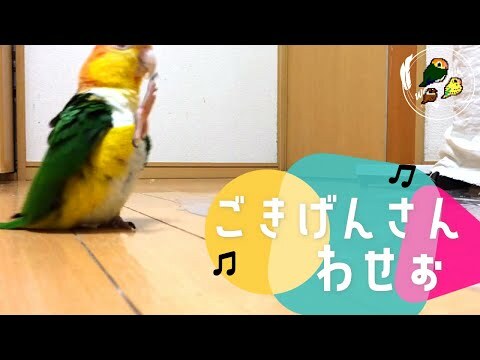 I wish there were a translator for what this bird is thinking in this video. Hilarious. And there you go! Your Friday, alllll video’d up! Did this week go fast for you? No? Just me? Anybody? No? Another great drum interpretation of a non-musical work, which also seems to lend it musical qualities! Really cleverly executed. This guy has pretty amazing chops as well. Seriously! I was unaware of how long the threading process is for this ginormous projector system. Provided with zero context. Created by Corridor Digital. Starting to make the rounds. My cat doesn’t understand there are moving images on the screen. No idea why. Frogs > my cat. And there you go! Happy Friday! See you next week Friday peeps. Already. And it’s Friday of course! Who’s ready for some videos? Yes you are! An interview with Henry Hill, the real wiseguy from the book that inspired the movie Goodfellas. Some great interviews with the actors and others about the casting process. An interactive video for Major Lazer’s new single. You simply click the screen to see the dream version or reality version. More info here. They look great! h/t: The Kid Should See This. All of this is performed by computers and network systems today. Enjoy the rest of your fabulous Friday everybody!